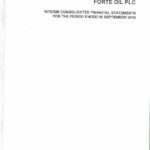 Forte Oil Plc sources and markets petroleum products in Nigeria which includes fuels, production chemicals, lubricants, greases and power generation for automobiles, aircraft, machines and equipment. The Fuel division supplies white petroleum products, aviation turbine kerosene and Jet A-1 aviation fuels; the Upstream division supplies ancillary products for the exploration and production sub-sector of the oil and gas industry; retail and industrial products include lubricants and grease; organic and petro-chemicals; premium motor spirit, automotive gas oil, dual purpose kerosene and fuel oils. 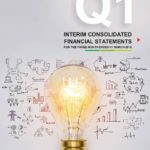 Forte Oil Plc also has business interests in power generation through the 414MW Geregu power plant located in Kogi state. 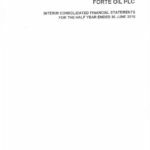 Established in 1964 and formerly known as African Petroleum Plc, the company changed its name to Forte Oil Plc in 2010. Its head office is in Lagos, Nigeria. 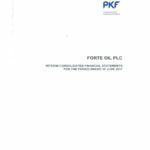 Forte Oil Plc sources and markets petroleum products in Nigeria which includes fuels, production chemicals, lubricants, greases and power generation for automobiles, aircraft, machines and equipment. 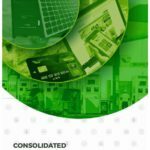 The Fuel division supplies… READ MORE.